Kathleen Ferrier - The Complete EMI Recordings (1944-1951) (3CD Box Set) - 2012, MP3 | Free eBooks Download - EBOOKEE! Kathleen Ferrier's recording career with EMI was relatively brief in an already too brief career. Although he was delighted at having signed her up, Walter Legge's dictatorial manner repelled her and she soon defected to Decca, for whom, by and large, she made the best of her recordings in terms of both quality and sound. Nonetheless, there are gems here: not least her early microphone testing sessions for Legge, the invaluable "Kindertotenlieder" for her mentor Bruno Walter and a complete recording of her signature role, Gluck's "Orfeo", in Amsterdam in 1951. The latter is an egregious example of where an EMI version easily tops the Decca: the 1947 recording, made under the inflexible Stiedry before Ferrier had refined and deepened her interpretation on stage, is both abridged and inferior in almost every way to this one. Conversely, the Bach excerpts, recorded almost by accident during rehearsals with Elisabeth Schwarzkopf under Karajan, are nowhere near as satisfying as the studio recordings made for Decca with Sir Adrian Boult, so ardent collectors will want to own the complete sets from both houses. 13. ACT III - Che feci mai? 14. ACT III - Che faro senza Eurydice? 16. ACT III - Non piu! che fai tu? 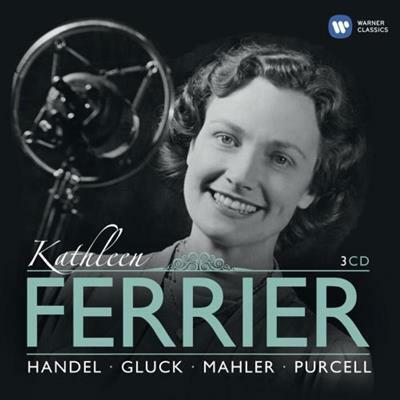 No comments for "Kathleen Ferrier - The Complete EMI Recordings (1944-1951) (3CD Box Set) - 2012, MP3".